Many years back, before I started indulging in story-driven games.. Before I thought plot-less games were a waste of my time.. 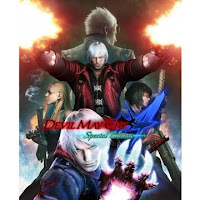 I used to enjoy a certain series called Devil May Cry.. I played the first 2 games on my PS2.. and I was getting started on DMC3, just got too busy with other stuff and as my need for the PS3 increased, I gave up on the 3rd game and focused more on story-driven games. So when DMC4 came out, I didn't get it. Now, many years later.. (Man, I feel old!) I have a sudden urge for the typical hack-and-slash action-adventure game. Been checking out games like God of War & Ninja Gaiden recently and been considering playing one of those games.. 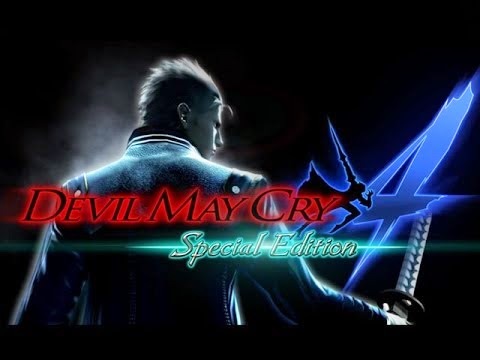 So, what a nice timing for the DMC 4 Special Edition to be released on the PS4 in June..
With new playable characters and more stuff added, I think this is a great buy even if you have played the original game. Been checking out the gameplay vids and it definitely is the kind of action that I miss from those days..
Definitely something to be playing as there's no other games that I will be getting in the months of June/July. Gonna be a bit rusty but looking forward to the challenge. I remember this game being a challenge as compared to a lot of games I have been playing recently..
Heard that there will not be a physical release for regions other than Asia.. But PlayAsia will be able to ship internationally if anyone is looking for a physical copy..
Can't wait for this man.. Here's some vids on the different new characters.. Evolve has a new Game Mode! Got The Wticher 3 as a gift! GTA V Story DLC - Coming or not coming? Free Comic Book Day 2015! AC Syndicate Details and my overall thoughts..
Another year.. Another AC Game..